Manilla SkySailors Club Site Fee & Membership Link : All pilots must have a HGFA and MSS membership to fly Mt Borah : Click Here ! Check if you are a current member of the MSS Club : Click Here ! 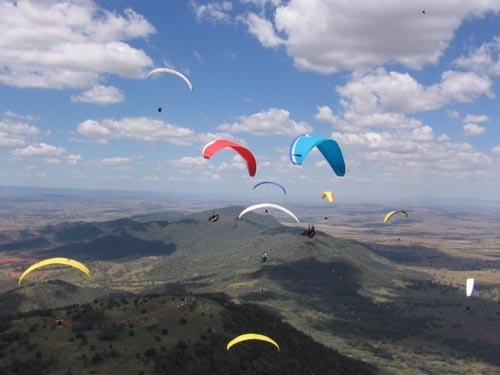 Paragliding State of Origin - Easter 2019 : Info - Click here! Manilla XC Camp 2019 : Jan 26 - Feb 2 : Info & Results : Click here ! Mt Borah online Weather Station and WebCam - live updates .. click here !!! 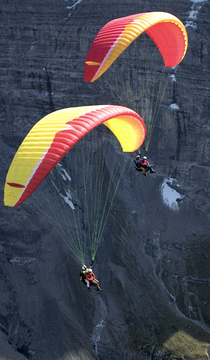 - Over 30 used gliders in stock (EN A and B), all checked and guaranteed, from $1000 see below ! Learn to fly at Australia's only world class facility and flying site where the course delivers you skill standards well beyond the minimum and covers ALL aspects of paragliding (unlike most courses elsewhere) - high flights, ridge soaring and thermalling. Our courses instil confidence born from competence. 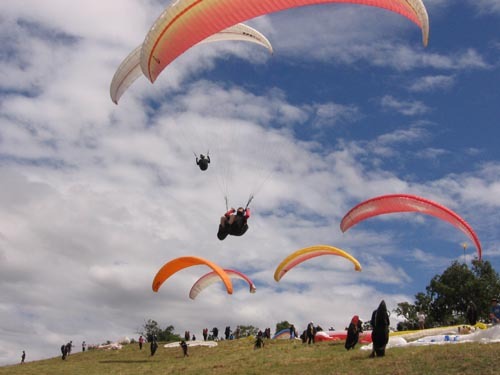 Located at one of the worlds best and safest flying sites - Mt Borah, which also hosted the 2007 Paragliding World Championships. Everything is in one place - the mountain, training slopes, classroom, accommodation. We offer 9 day Live-In license courses (and private 1:1 courses) and take your training seriously (its aviation, not a holiday). The courses cost $1950 and inc all equipment, on site transport, accommodation, a $400 equipment purchase credit and special student discount prices on equipment (new or used !). Tandem instructional flights are also available from October-March. CFI Godfrey Wenness is the most experienced pilot and instructor in Australia, has 25 years as a Chief Flying Instructor, held the World Distance Record (335kms, 98-03), held multiple national records, and developed and owns Mt Borah - one of the worlds best flying sites ! BEWARE - There are schools making false and misleading claims about their experience and #'s of students taught. - you should always verify such claims ! Check the Learn to Fly section and get the facts. For more information click on the Learn to Fly button on the left menu bar. We also offer Private 1:1 and small group License Courses, PG3/PG4/PG5 License upgrades, Thermalling, Cross Country/skill improvement days etc all year round - they can all be booked at other times outside the course/clinic dates. Why Fly Economy when First Class costs around the same as B grade brands ! 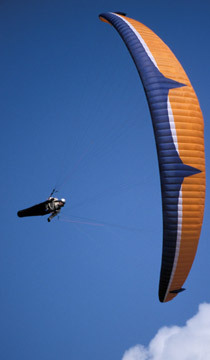 ... the worlds highest quality gliders from $3650, and 5 STAR safety rated harness's from $990. Don't pay more for so much less !! We have more equipment in stock in Manilla that most other schools in Australia combined ! Over 30 used gliders usually in stock - Alpha 3,4, 5,6 plus other EN A models; Epsilon (EN-B), Iota (EN-B+) - various hours, sizes and colours plus occasionally other EN B from reputable brands. All checked and guaranteed. From $1100. Godfrey's Manilla Paragliding is the Australian importer for the worlds leading brands like Advance (paragliders and harness's), Flytec, Naviter and Ascent (instruments), Lazer and PlusMax (helmets), Hanwag (boots & footwear), Companion and Charly (reserves) and Skywear (gloves). 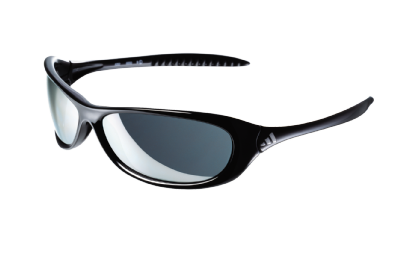 We are also the only Australian airsports premium dealer for Icom (radios), Garmin (GPS Navigation), SPOT (GPS Tracker) and Adidas (sunglasses). 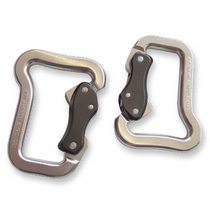 Other glider brands are also available and independent advice is always available. 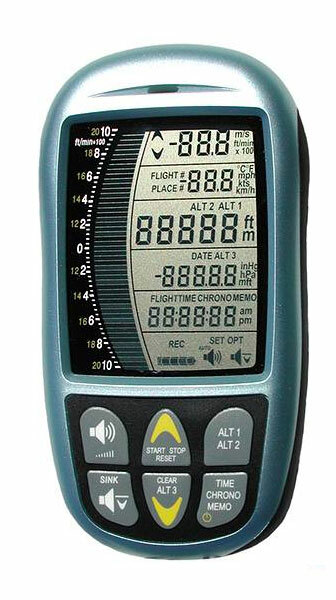 We also import and stock text books and all accessory items that pilots need. 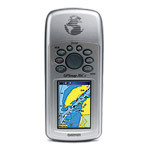 Australia's largest range of tested second hand equipment is also available. 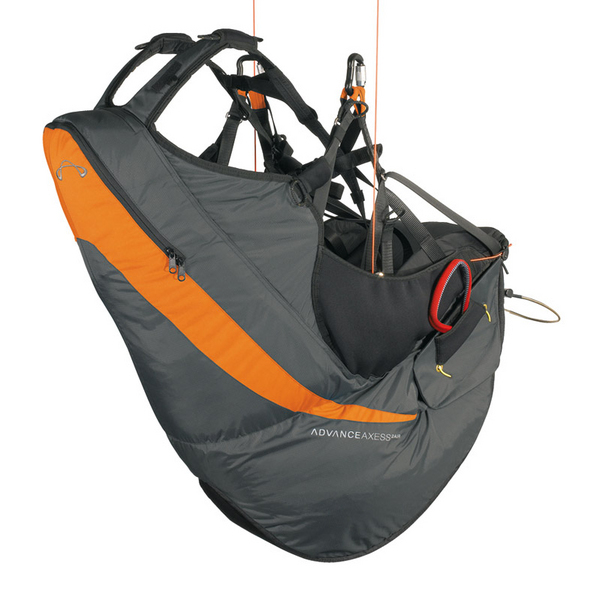 Manilla Paragliding is one of the very few schools which actually stock items ready to deliver - most others have to order items in from the factory or importers like us ! 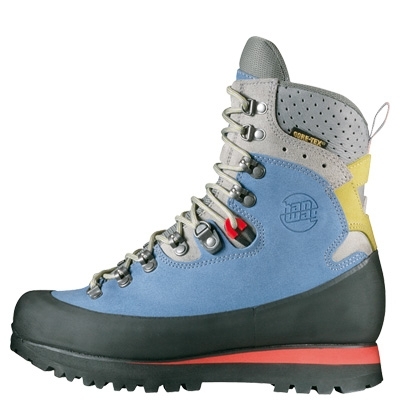 See the Equipment section (click on top menu bar) or on the logo's below for more information and current price lists. As seen on TV Channel Nine's award winning "Getaway" program !!! See the video clip on YouTube.. CLICK HERE. Please contact us book a place ph : 02 67 85 65 45 or email click here ! Tandem Flights are a great way to get introduced to paragliding in complete safety - it's only $160 for a real experience (includes HGFA temporary m/ship and transport). Fly with an expert instructor, get hands on tuition (conditions dependant) and maybe even say hello to a local wedge tailed or sea eagle. Flights last for around 30-40mins. Gift vouchers and in flight photo's are also available. Tandems are available most of the year round exceptduringlicense course weeks and are subject to weather conditions. 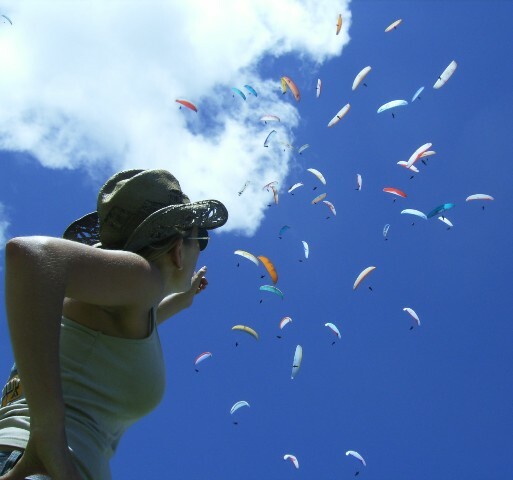 Phone or email Manilla Paragliding School for bookings (see contact below). See Godfrey Wenness on TV in "Miracle in the Storm"
The internationally famous story of Ewa Wisnierska's amazing survival in 2007 after being sucked into a thunderstorm to heights of 33,000ft (nearly 10kms up !) for over 45 minutes with no oxygen and temperatures below minus 50 ! 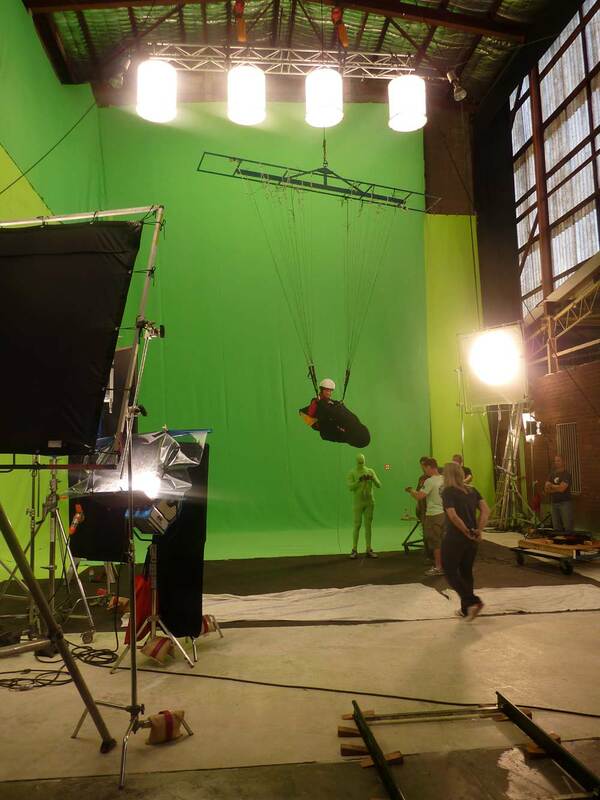 Godfrey was the paragliding technical advisor to the film and also provided narrative and interviews. Now available on YouTube in 7 parts click here ! Come for a relaxed flying holiday at Mt Borah, try for a personal best XC distance or update your skills with an instructor. The safe and easy Manilla flatlands XC flying awaits you ! No need to increase risks by towing for flatlands XC when there is a launch mountain with 4 huge take-off's at Mt Borah. You can launch safely, easily and fly with your friends over relaxing XC countryside. With 4 huge astro-turfed launches is one of the best and safest sites in the World. A$400,000 was spent on preparing the site for the World Championships event - new launches, 2WD access roads and toilets. Hill transport is available daily so you don't need a car. XC retrieves can be arranged. 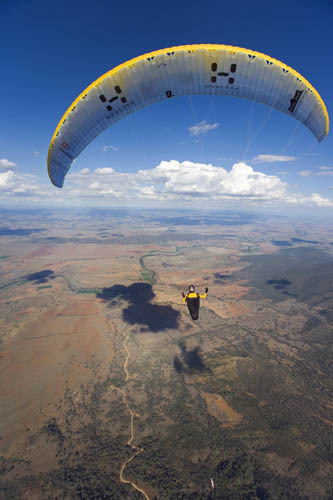 Manilla hosted the 10th FAI Paragliding World Championships in 2007 and annually in February hosts the largest XC event in Australia (Manilla XC Camp). 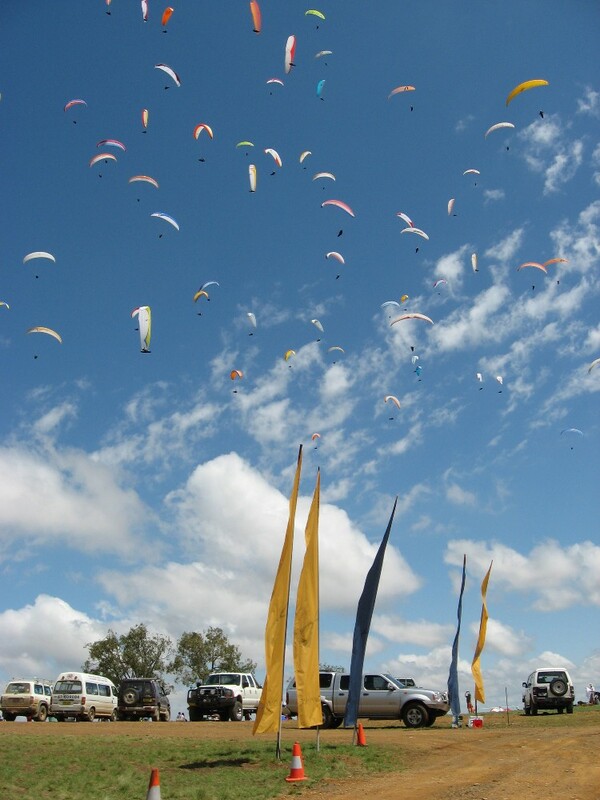 There are also annual State Hang Gliding Champs in Feb/March, the annual State of Origin Paragliding event at easter (the 2nd largest event on the Australian calendar ! ), the Weekend Warrior Summer Series, and in September a Radio Controlled Model Glider event. Mt Borah can also host Mountain Bike event (Downhill, Enduro and XC), and 4WD events and training - please contact Manilla Paragliding School for more info. Great value Cabin (A$20/night, all linen provided, full kitchen and BBQ area) and Camping (A$10/12night) accommodation is available on site at Mt Borah too with free wireless internet and a swimming pool ! 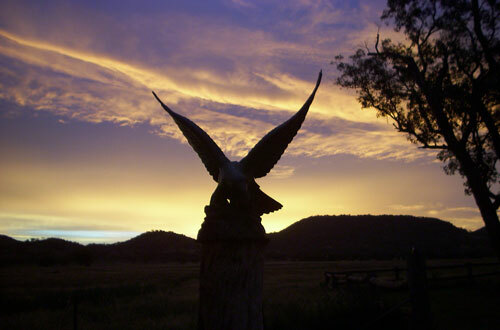 Relax away from the hustle and bustle of the city and chill out at Mt Borah by the pool or camp fire after flying. Contact Godfrey ... Click here ! 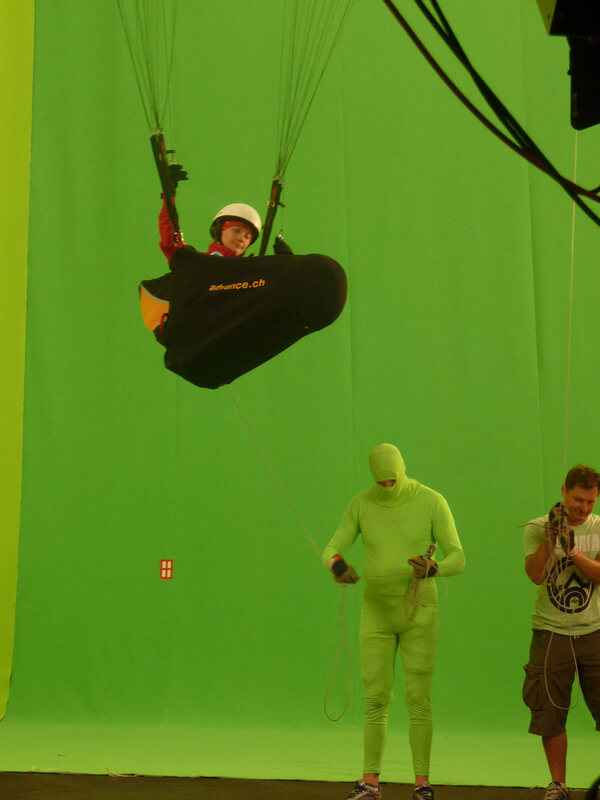 Manilla Paragliding's chief pilots are experienced in all types of film, TV and stunt work relating to Paragliding. We also hire all equipment and provide expert advice. Personally vetted contacts are available for other aircraft types/styles/filming and including Ultralights, Gyro-planes, Gliders, Helicopters, Radio controlled models and other civilian and military aircraft.